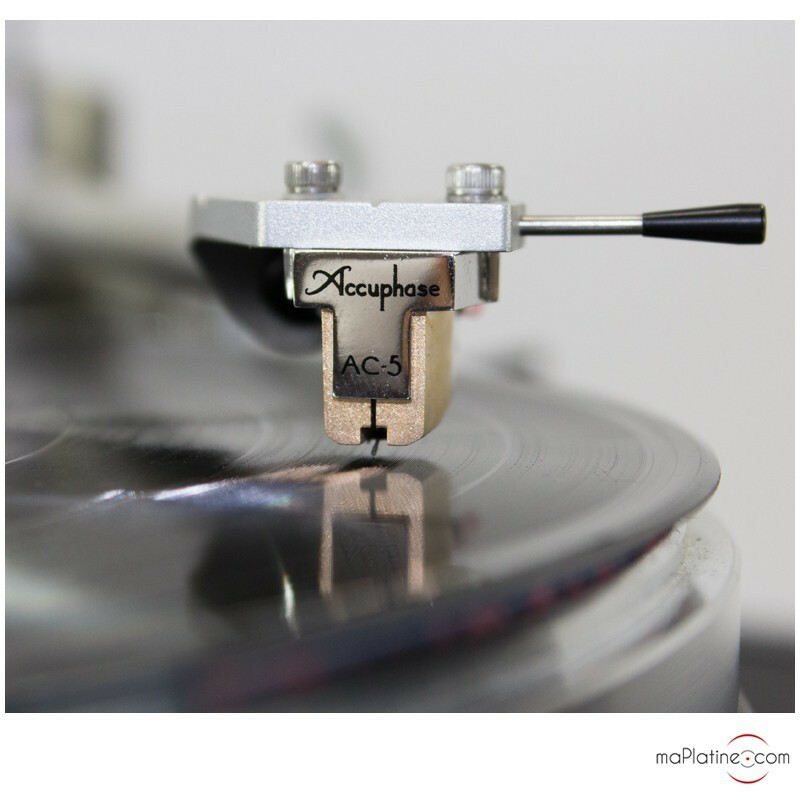 This new Accuphase AC-5 is the worthy continuation of the famous AC-1, AC-2 and AC-3. They were built between 1979 and 1983 by Hisayoshi Nakatsuka, who is non other than the owner of ZYX cartridges! 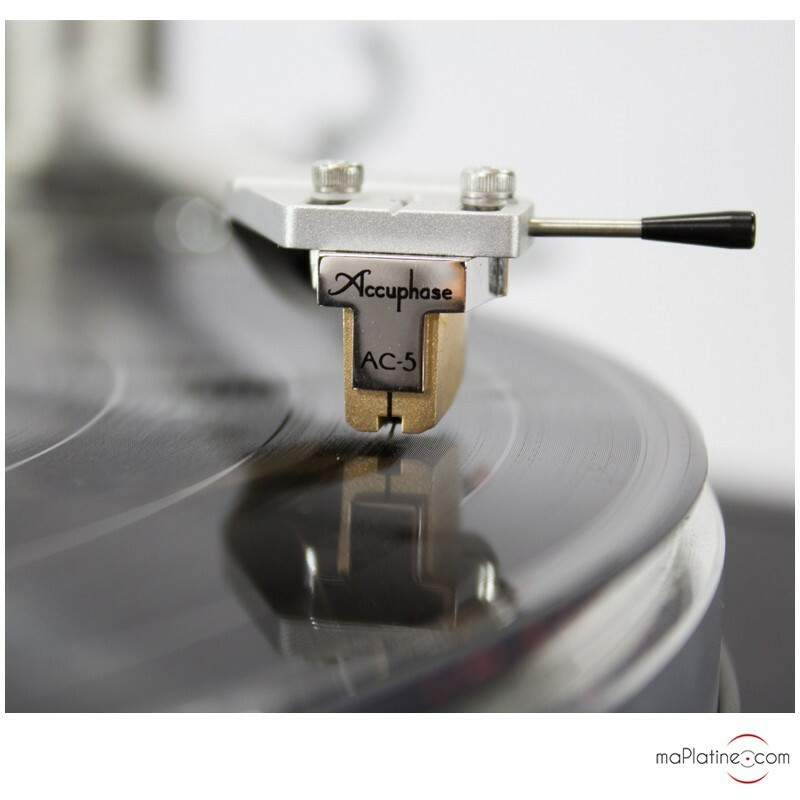 The release of this AC-5 was concurrent with that of the great Accuphase C-27 phono preamplifier. 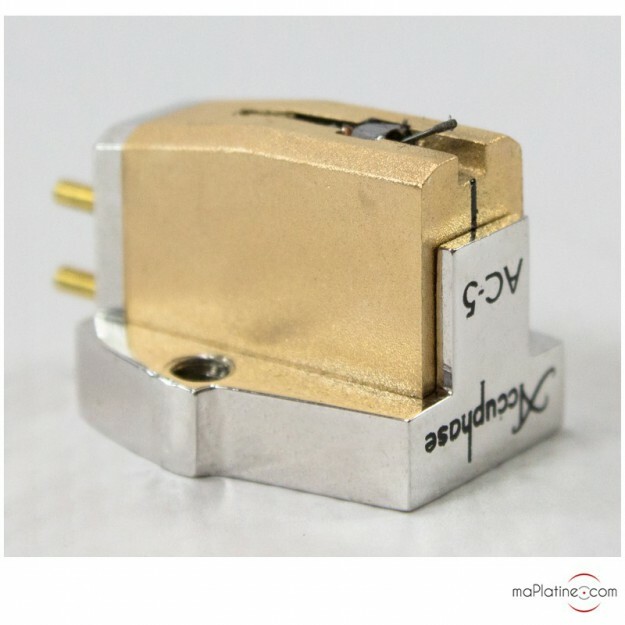 The manufacturer presents technological abundance inside 1 cubic cm! 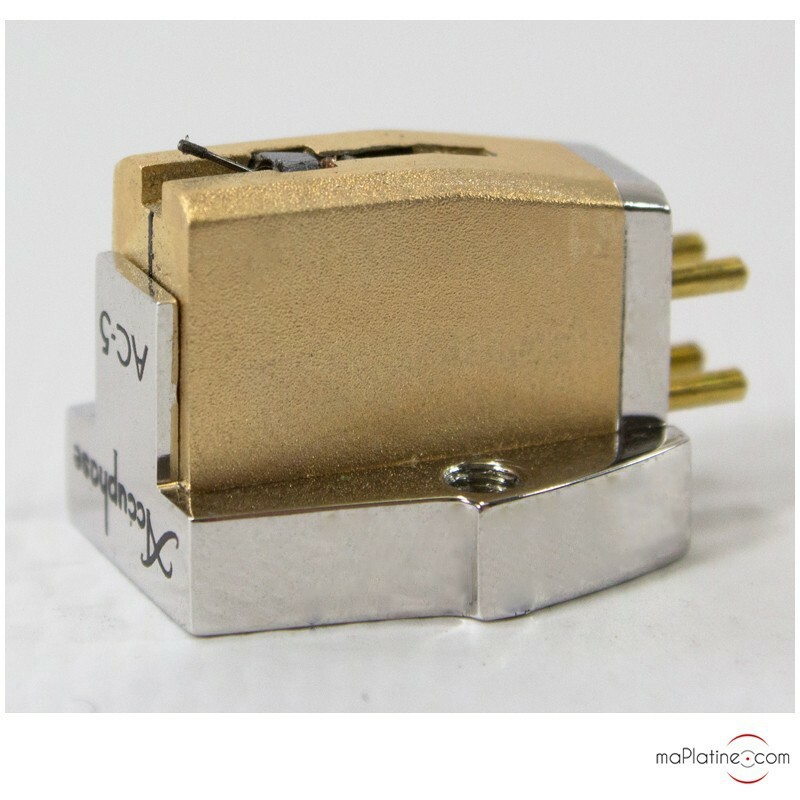 The product specifications of many cartridge manufacturers are often very succinct and it is often quite hard to justify the price considering the lack of technological innovation! With Accuphase it's a different story: how are we supposed to summarise two pages of technical specifications into one paragraph!? The MicroRidge stylus looks like a blade. 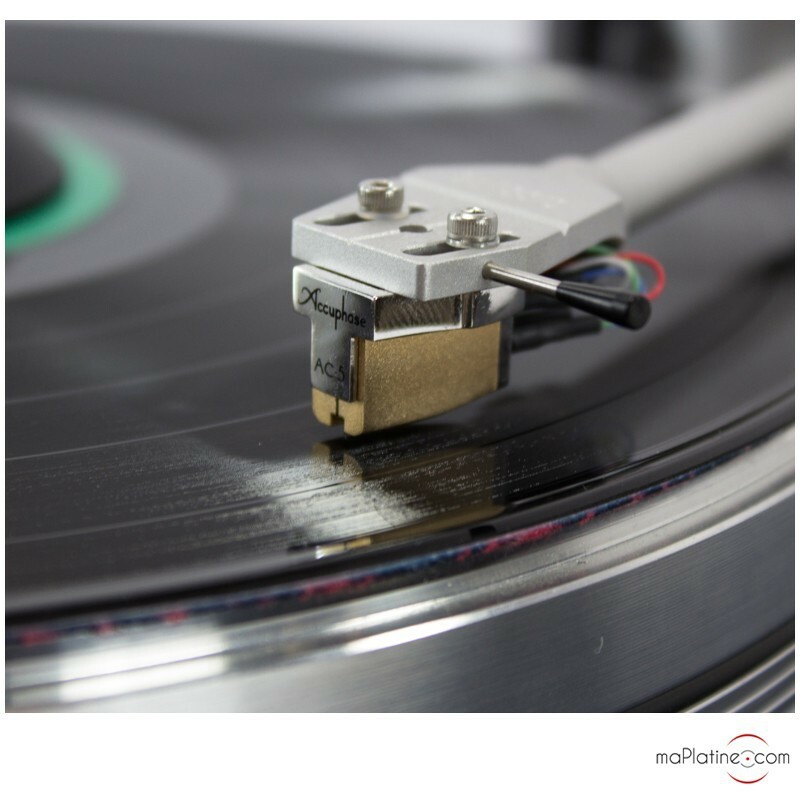 Actually, it is similar to the original record lathe. The unique profile tracks the groove remarkably and the wide frequency response minimises distortion. The 0.3 mm cantilever is made of boron, which gives it a very high propagation speed, superior to what is achieved with beryllium and aluminium. 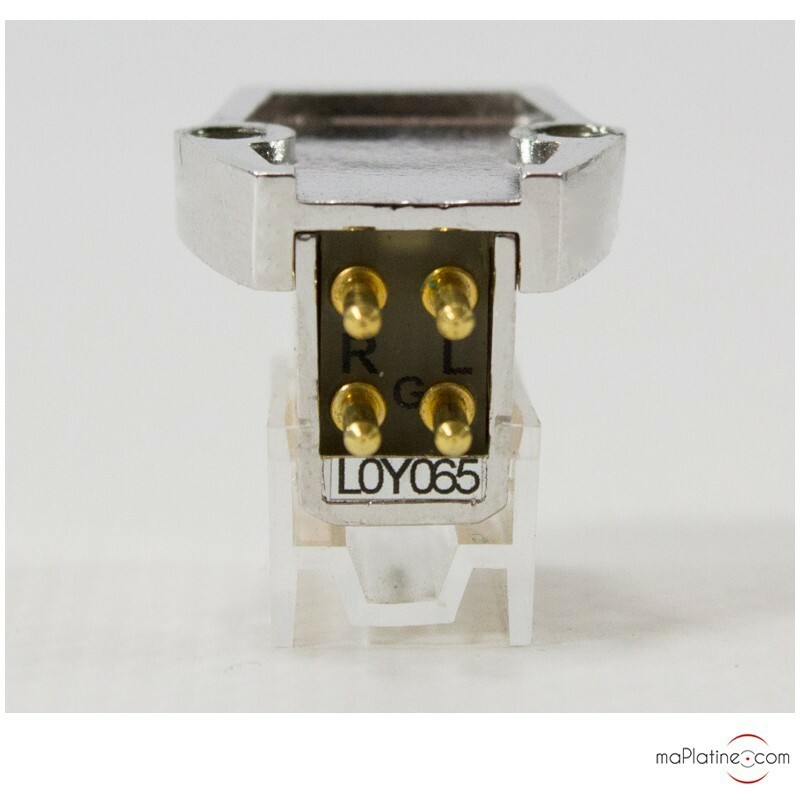 The generators feature high purity 6N-LCOFC copper coil windings. 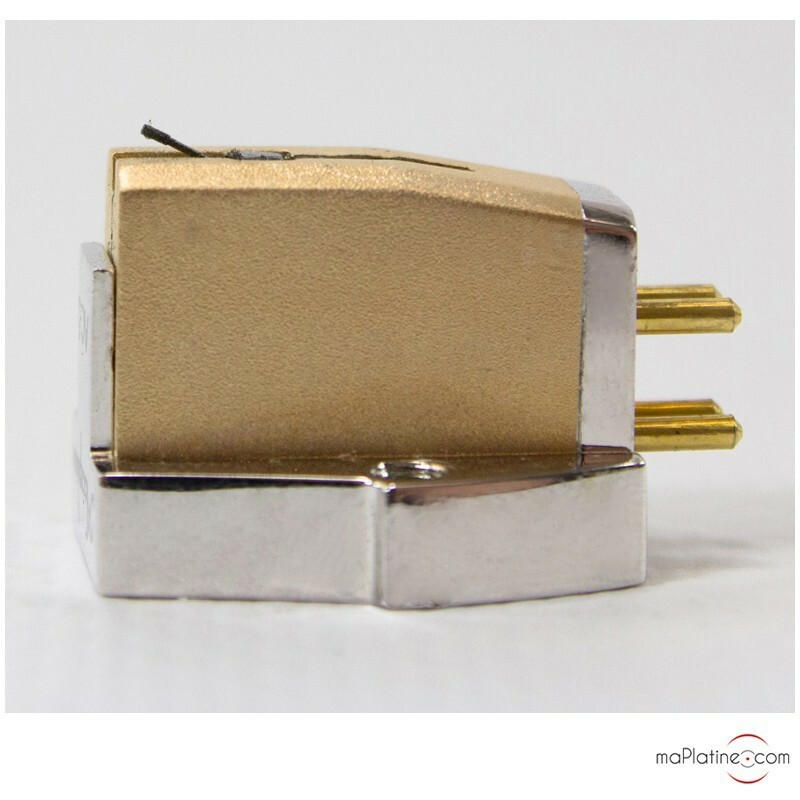 The very powerful magnets are made of Samarium Cobalt type 30. 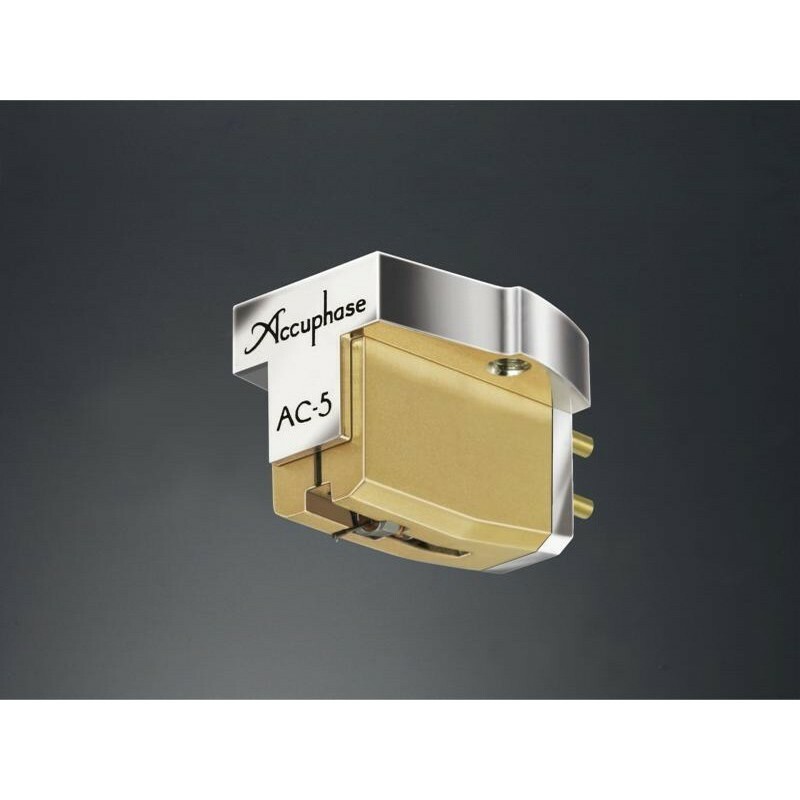 They generate a powerful magnetic field, thus contributing to the punchy and linear sound quality. 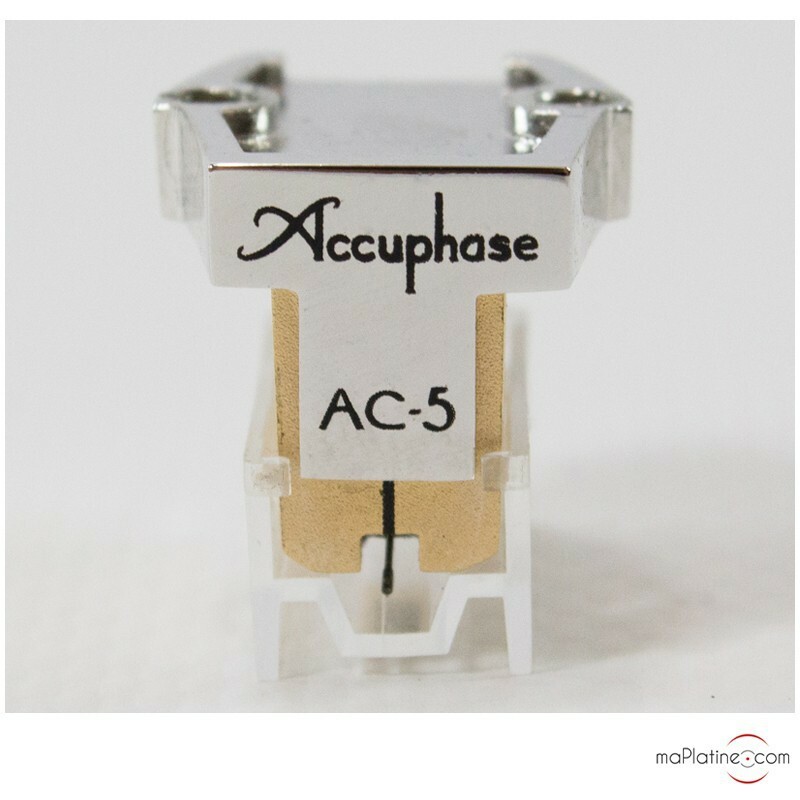 To ward off vibration and resonance, Accuphase has developed a complex damping system made up of 8 elements. The body is made of a polished alloy comprising tin (91%), antimony (7%) and copper (2%). In addition to its luxurious appearance, it is very solid and perfectly wards off vibrations. 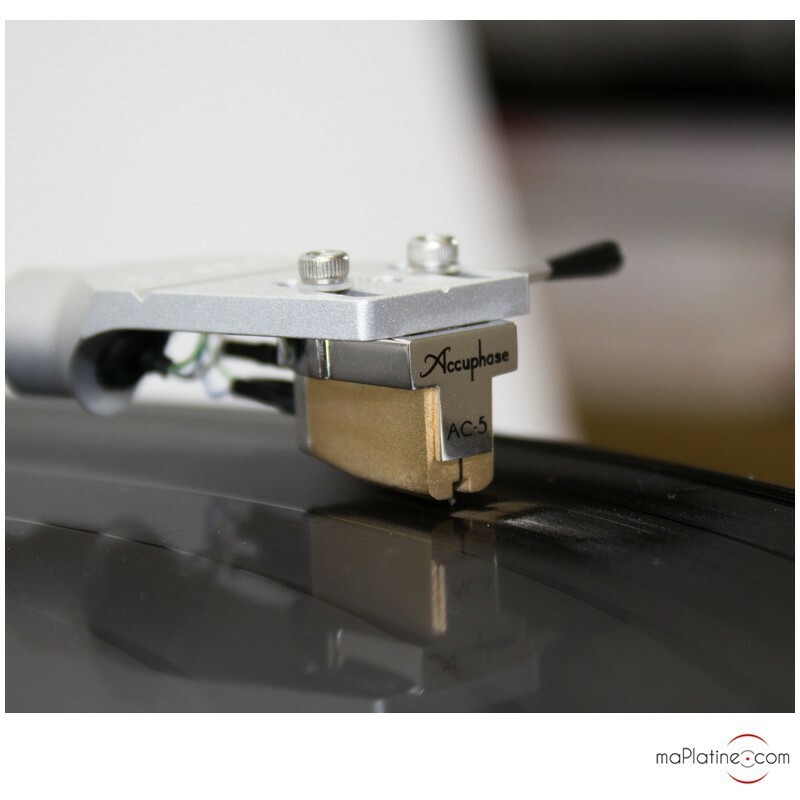 Its compliance makes it compatible with heavy and medium weight tonearms. The sound quality is both subtle and full-bodied. 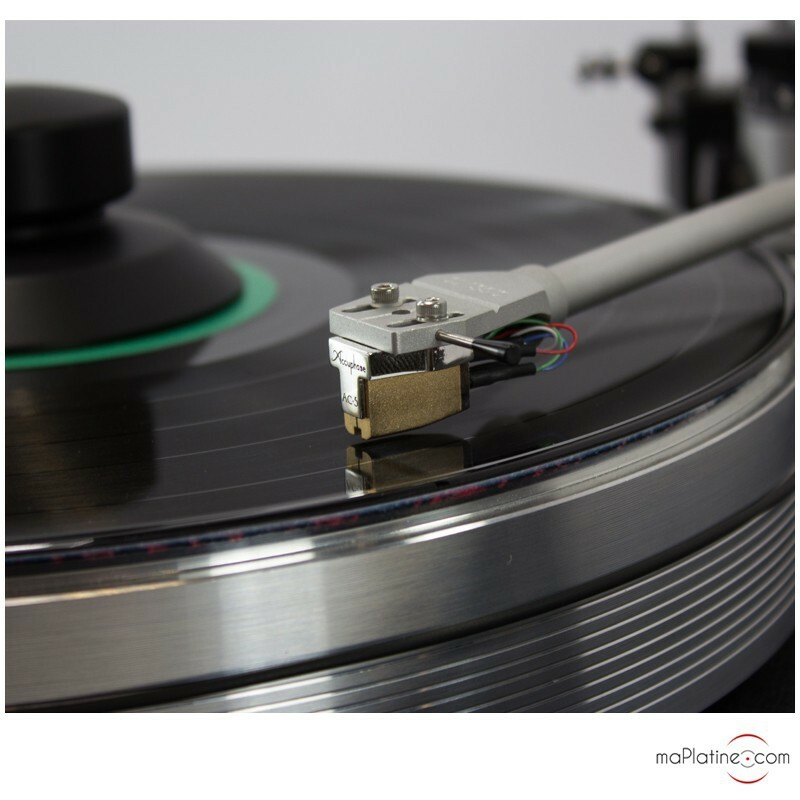 It boasts great transparency and offers a flurry of details as well as remarkable precision. The bottom of the spectrum is deep, very tight and well articulated. The instruments playing within this register are very distinctive. 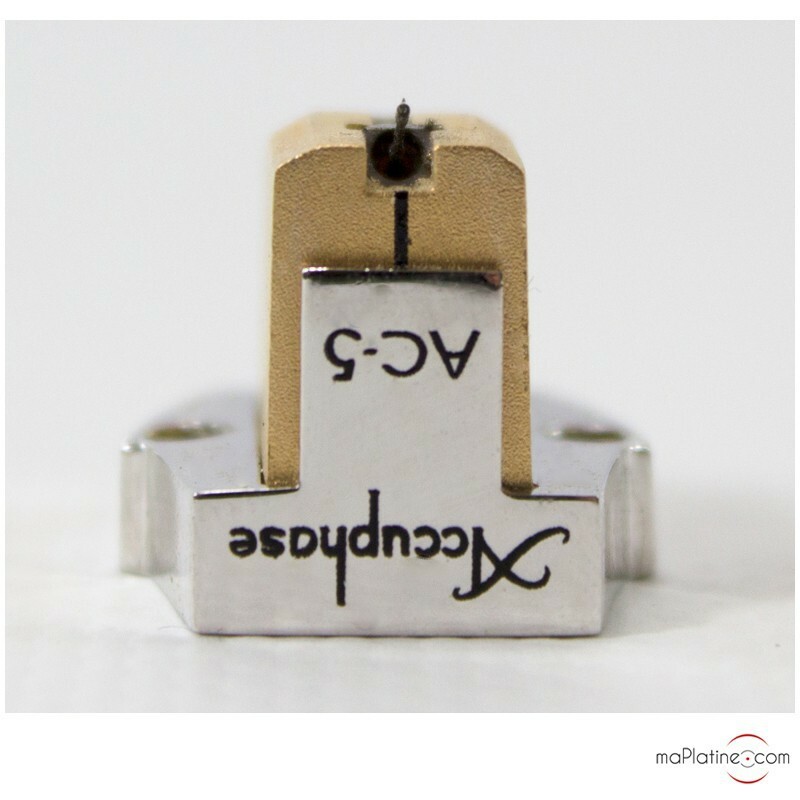 The treble is high and very authentic making the timbres rich. It contributes to preventing too much 'dullness', which is often a criticism against cartridges that want to be soft and round and that are ultimately dark and dull! The mids are also present! They are present, full-bodied and with timbre, perfectly reproducing the vocals and brass sections. 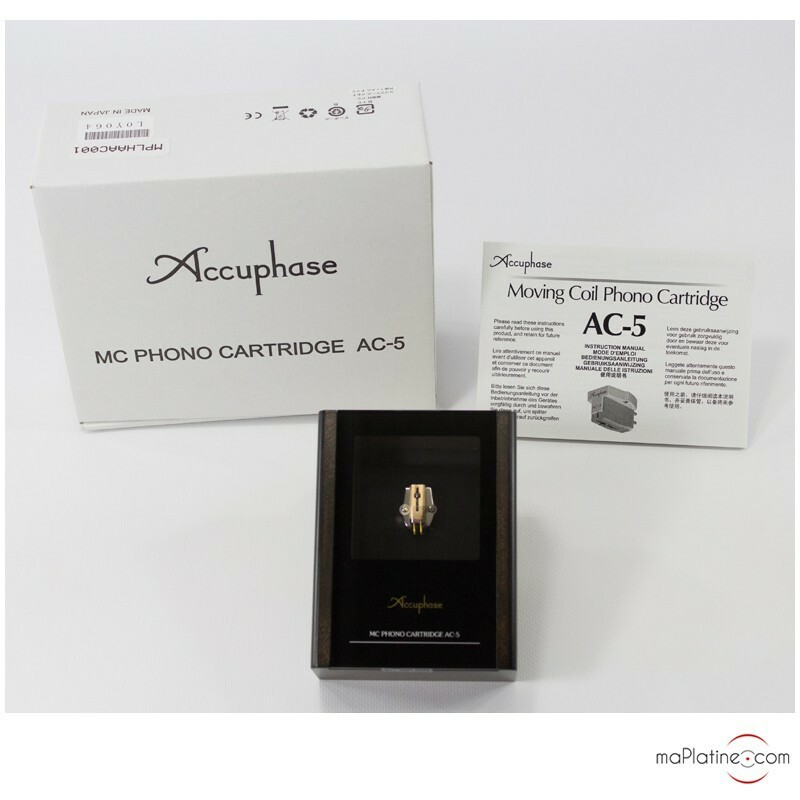 We can't go wrong by claiming that this Accuphase AC-5 ranks amongst the top 2 or 3 best Hi-Fi cartridges that we have ever heard. Though some have the same level of musicality! Others have as much detail! And some even have the same amazing sound stage … But few of them combine all these qualities! The manufacturer's tagline 'A better life thanks to technology', why not? The AC-5 can help! A benchmark!